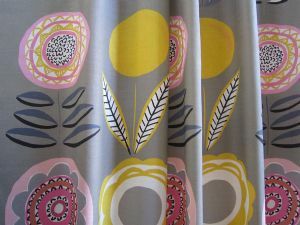 Large Scale: Cream, yellow and grey linen curtain fabric. 5 Flowers across the width. Full Width. 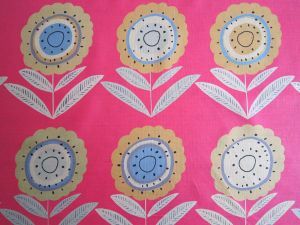 Large pink flowers on a creamy lemon background. 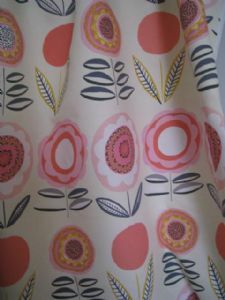 Large scale curtain fabric. 5 Flowers across the width. Full Width. 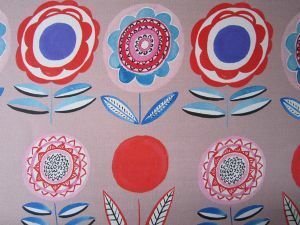 Big bold pattern in bright but soft colours. Large Scale and Full Width. 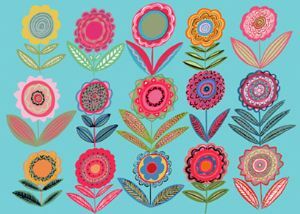 Bright, big and colourful flowers against a turquoise blue background, to hang as a wall hanging or for big bright curtains or blinds. 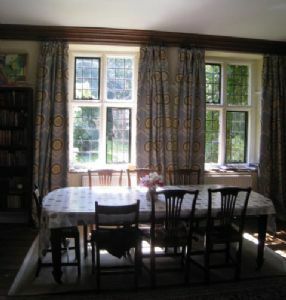 Full width,large scale fabric. 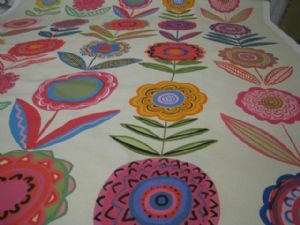 Pretty bright and bold fabric for a wall hanging or curtains or blinds. Larger version. Flowers around 7" high. Fun and lovely. Full width version. 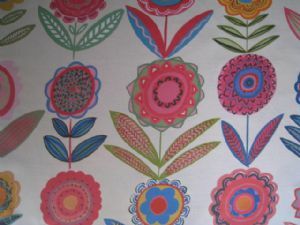 Six Flowers across the width. 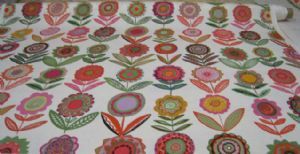 Full width with 6 flowers across the width. Pink and yellow flowers on a khaki grey ground.